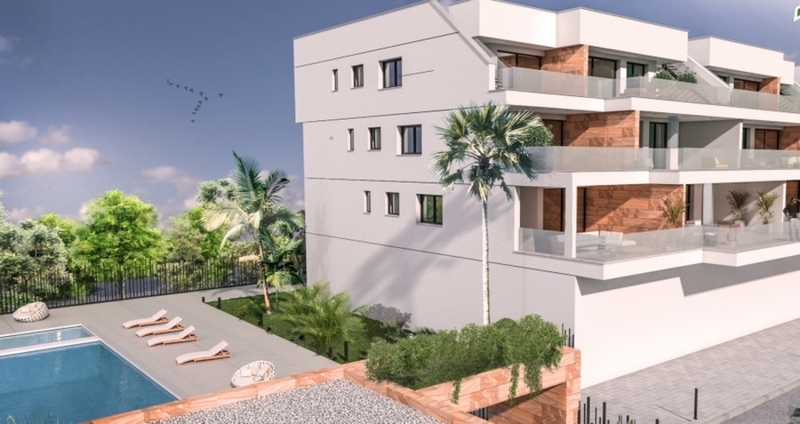 2 BEDROOM APARTMENT IN A NEW AREA IN VILLAMARTIN, ORIHUELA COSTA. Located in Orihuela Costa, and more precisely close to Villamartin, a great development surrounded by 3 magnificent Golf Courses: Villamartin, Las Ramblas and Campoamor, and with stuning views to the sea. 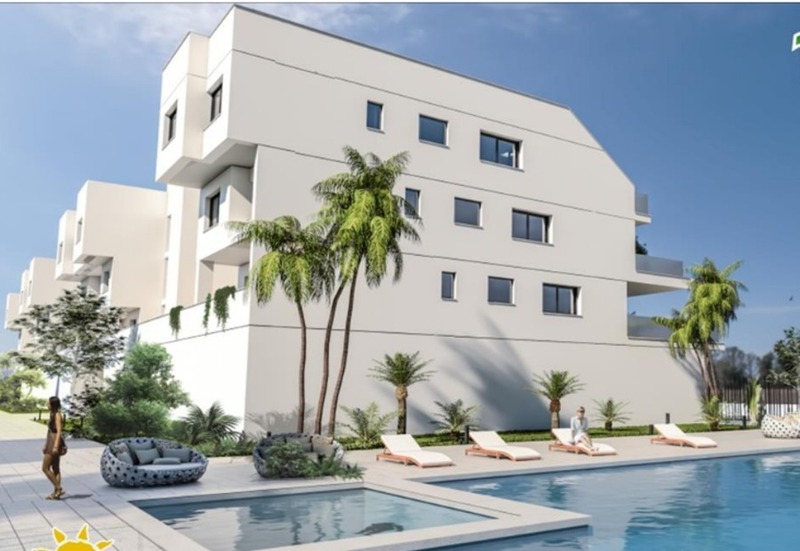 The properties are 2 bedroom 2 bathroom terrace apartments, with wide terraces. The properties are built under the highest quality standard, pre installation of ducted air conditioning and under heated floor in bathroom. This residential also benefits from large garden area with palm trees and diverse plants, communal swimming pool jacuzzi and gym for the exclusive use of the owners. All properties include also underground parking place and storage room.